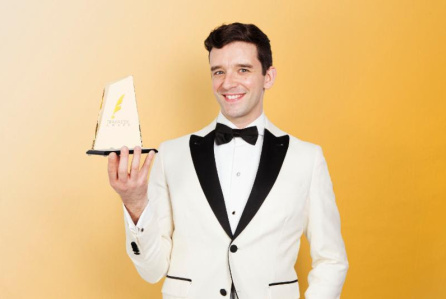 The Drama Desk, an organization of writers, editors, publishers, and broadcasters covering theater in New York City, has announced that Drama Desk Award-winning actorMichael Urie (Torch Song, Buyer and Cellar, “Ugly Betty”) will host The 64th Annual Drama Desk Awards, Sunday, June 2 at 8PM at The Town Hall in New York City. This marks Urie’s fourth consecutive time hosting the ceremony. 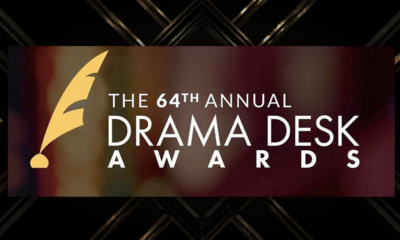 Public tickets go on sale tomorrow, Tuesday, April 9 at 12PM EST, for the 64th Annual Drama Desk Awards, and can be purchased at www.DramaDeskAwards.com. VIP tickets will become available later this month. Matt Britten, Broadway Brands CEO, will serve as executive producer and Joey Parnes Productions will produce the ceremony, as it has since 2012. The show will be written by Bill Rosenfield (46 Beacon, True Fans, Sunshine and Shadow), returning for his seventh year; directed by Mark Waldrop (Not That Jewish, Howard Crabtree’s When Pigs Fly, Bea Arthur on Broadway: Just Between Friends), marking his fourth year; and music-directed by Dan Lipton (The Band’s Visit, The Last Ship), making his fifth appearance. The Drama Desk Awards, which are presented annually, honor outstanding achievement by professional theater artists on Broadway, Off-Broadway and Off-Off Broadway. 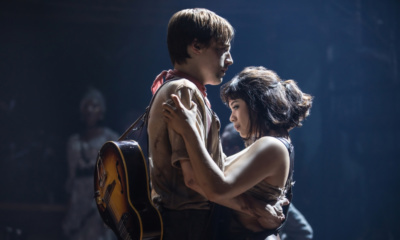 What sets Drama Desk Awards apart is that they are voted on and bestowed by theater critics, journalists, editors and publishers covering theater. 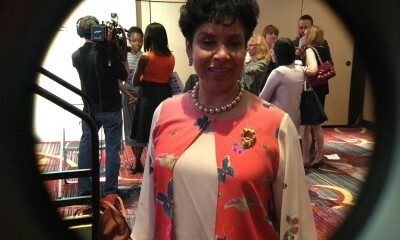 For this reason, Drama Desk Awards reflect enthusiasm for all aspects of New York’s professional theater. Previous winners include Lin-Manuel Miranda, Bernadette Peters, Cynthia Erivo, Nathan Lane, Kevin Kline, Laura Linney, Bette Midler, Danny DeVito, Cynthia Nixon, Catherine Zeta-Jones, Dustin Hoffman, Al Pacino, Helen Mirren as well as Jules Fisher and Peggy Eisenhauer (lighting design) Tina Landau (director), Tina Fey(book writer), Warren Carlyle (choreography), Jason Robert Brown (orchestrations),Ivo van Hove (director), Philip Glass (music), Ed Sylvanus Iskandar (director), Bess Wohl (playwright), and many others. 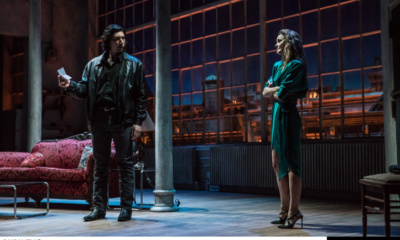 The mission of the Drama Desk is to recognize outstanding achievement in New York theater and encourage discussion of issues significant to theater professionals. The organization accomplishes these goals by bestowing annual awards in more than 30 categories of theater arts and crafts, hosting the awards celebration, and presenting educational forums and panel discussions on theater topics. The Drama Desk was founded in 1949 by New York Times arts reporter Sam Zolotow, Edith Oliver of The New Yorker, and New York Post critic Vernon Rice, among others. Six years later, after Rice’s untimely death, the organization initiated an award in his honor for outstanding achievement Off-Broadway. Subsequently expanded and renamed the Drama Desk Awards, they now recognize accomplishments on Broadway, Off-Broadway, and Off-Off Broadway. 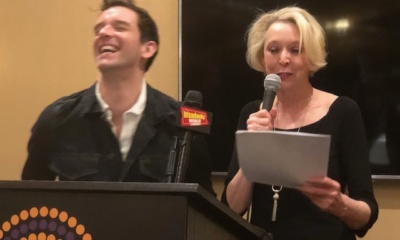 Michael Urie was recently seen on Broadway this season in Harvey Fierstein’s Torch Song following his critically acclaimed performance in the off-Broadway production at Second Stage for which he received Lucille Lortel Award and Drama League Award nominations. He originated the role of Alex More in Jonathan Tolins’ Buyer & Cellar Off-Broadway, on tour, and in London, for which he received the Drama Desk Award, Clarence Derwent Award, the Lucille Lortel Award, LA Drama Critics Award and nominations for the Drama League and Outer Critics Circle Awards. New York theatre credits include How to Succeed in Business Without Really Trying (Broadway), The Government Inspector (Red Bull, Drama League, OCC nominations), Shows For Days (LCT), Homos, Or Everyone In America (Obie Award), The Cherry Orchard (CSC), Angels in America (Signature), The Temperamentals (Lucille Lortel, Drama Desk and Theatre World awards, Drama League nomination),The Revenger’s Tragedy (Red Bull), and Another Vermeer (HB Playwrights). Regionally, Urie has worked forThe Kennedy Center, Shakespeare Theatre Company (Wash. DC), Two River, The Old Globe, Vineyard Playhouse, South Coast Rep, Seattle Rep, Folger Shakespeare, Barrington Stage, Hyde Park (Austin), and The Blank (L.A.). Film: He’s Way More Famous Than You (also directed), Thank You for Judging (co-director/exec. producer), Beverly Hills Chihuahua, WTC View, Jeremy Fink and the Meaning of Life, The Decoy Bride, Petunia, Such Good People, The Hyperglot (director), and Grantham & Rose (exec. producer). TV: Gavin Sinclair on Modern Family, Younger, The Good Fight, The Good Wife, Hot in Cleveland, Workaholics, Partners and Marc St. James on Ugly Betty. He hosted four seasons of Logo’s Cocktails And Classics. Web series: “What’s Your Emergency” (director). Training: Juilliard. Brands Based in the heart of Times Square, Broadway Brands (www.broadwaybrands.com) is a theater media conglomerate that seeks to build creative, informative, and inspiring products for a variety of audiences on Broadway and beyond. The company made its debut in 2015 with the launch of Broadway Briefing, and recently launched Broadway News, with more brands on the way. 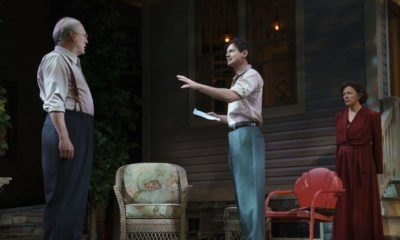 Broadway Briefing (www.broadwaybriefing.com) is a fun, fast (and free) must-read morning newsletter for theater professionals. Broadway News (www.broadway.news) is the new home for original theater journalism from editor-in-chief Caitlin Huston, with reviews by Charles Isherwood and Elizabeth Bradley, and featuring contributions from experienced theater journalists including Jeremy Gerard, Gordon Cox, Jan Simpson, and David Cote. Broadway Brands is building a community of entertainment entrepreneurs, with a passion for taking show business seriously. It celebrates the history of the industry and is even more excited for its future. Led by Joey Parnes, a Broadway producer and general manager with over 40 years’ experience, Joey Parnes Productions produces, executive produces, and general manages theatrical productions from the commercial and non-profit worlds, both on and off Broadway, internationally and on the road. Currently represented on Broadway by To Kill A Mockingbird, King Lear, Hillary and Clinton and Gary: A Sequel to Titus Andronicus and on the road with the Tony Award winning Hello, Dolly! Recent Broadway credits include The Waverly Gallery, Meteor Shower, Three Tall Women, The Iceman Cometh (2018), Carousel (2018), Hello, Dolly! (2017; Tony Award), 1984, A Doll’s House, Part 2, The Glass Menagerie (2017), The Front Page (2016), Shuffle Along, The Crucible (2016), Bright Star, Blackbird, The Humans (Tony Award), A View from the Bridge (2015), Fish in the Dark, Skylight (2015; Tony Award), A Delicate Balance, This Is Our Youth, A Raisin In The Sun (2014; Tony Award), A Gentleman’s Guide to Love and Murder (Tony Award), Betrayal (2013), Vanya and Sonya and Masha and Spike (Tony Award), and the revival of HAIR (2011; Tony Award). Joey is a past president of the Yale Dramatic Association and teaches Producing for the Commercial Theatre at Yale School of Drama. Joey served as the Coordinating Producer of the Tony Awards from 2001 to 2008 and has produced the Drama Desk Awards since 2012.